For those of you who are not familar with Priorat, as I wasn’t previous to my move to Spain, Priorat is one of only two designated origins that qualify to use the term DOCa/ DOQ, Spanish Denominación de Origen Calificada (DOCa) (Denominació d’Origen Qualificada (DOQ) in Catalan). 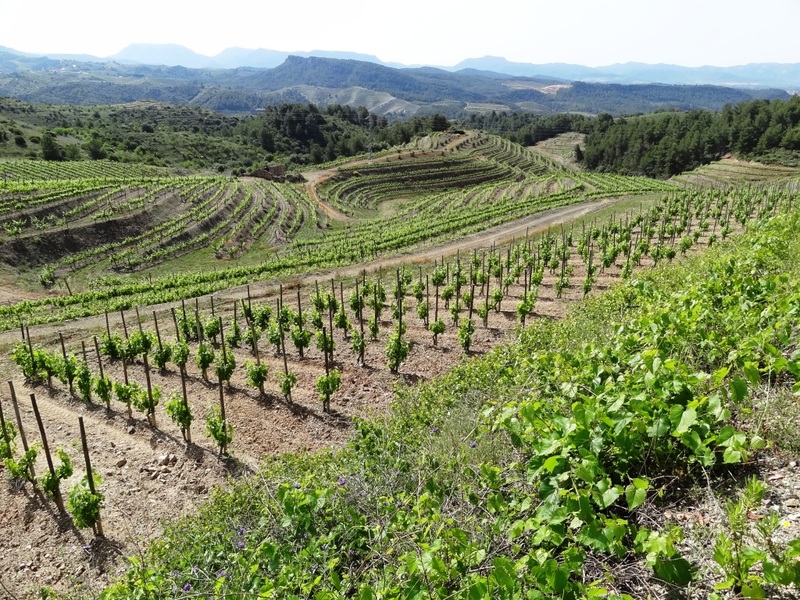 Priorat’s DOCa/DOQ is considered to be the highest qualification level for a wine region according to Spanish wine regulations, alongside Rioja DOCa. What this means is that wine producers are technically held to a higher standard of quality than those in the rest of Spain. However, this is not to say that there aren’t other regions of Spain that make amazing wine. This is simply a qualification method within the European Union. Priorat is a terraced, hilly wine region near the city of Tarragona, Spain, south of Barcelona. It is characterized by its unique terroir of black slate and quartz soil known as Llicorella. 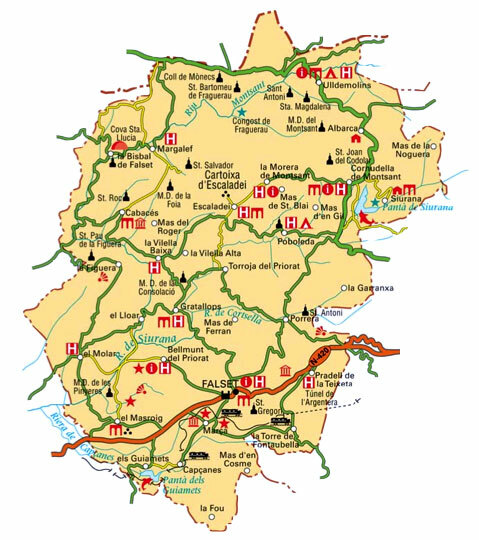 To get a better idea of the Priorat region, please see the map below. The Priorat region is famous for its Cariñena and Garnacha (Grenache) grape varieties. However, wine producers are also allowed to use Merlot, Cabernet Sauvignon, and Shiraz (Syrah), among other varieties. Four white varieties are also authorized: Garnacha Blanca, Macabeo, Pedro Ximénez, and Chenin. 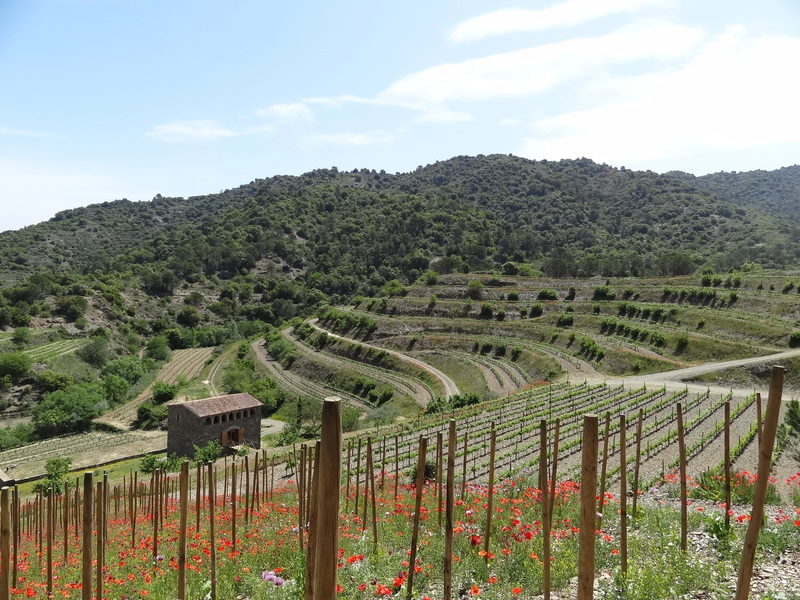 Interestingly enough, compared to the over 600 wineries in the La Rioja DOCa, the Priorat DOCa/DOQ has approximately 96 wineries and produces only 1% of what La Rioja does each year. This is due primarily to the challenging conditions of the land, the soil, and the weather, which together work to cause extremely low yields. In order to properly grow and cultivate grapes on this difficult land, true, honest dedication is required. Most wine producers give up and leave to seek more fertile land; those that stay behind, like the owners of the three vineyards we visited, live the life of vignerons and eat, live, drink, and breathe life into this region. We visited three vineyards during our two-day visit to the Priorat region: Agnés de Cervera, Cellers Capafons -Osso, and finally Celler Burgos Porta. Each of the three wineries was distinct in its own way. Agnés de Cervera, which is located in El Molar, is a medium- large winery; once the project of Osborne, it is now run by a family. Its well-known winemaker Fran Vernet makes top quality red wines such as Lytos and Kalos. Agnés de Cervera is located in the southwestern part of Priorat. I fell in love with the Kalos 2009 wine and had to take home some of this beauty-in-a-bottle! The second winery on our tour was Cellers Capafons-Osso, located near the town of Falset. Cellars Capafons-Osso’s owner and winermaker, Francesc Xavier Capafons, provided us with a five-hour-long tour through the two wine regions of Montsant and Priorat. The tour included a stop at a natural water source hidden in the mountain to save us from the extreme heat. It also included a great explanation from a viticultural standpoint concerning the land, the plants, and the vines. This ended with a tasting of eight wines, including some amazing ones with ratings of over 90 points, at a tasting room in the owner’s own traditional style home. Cellers Capafons-Osso’s red wine Mas de Masos was an incredible one, and one that I would recommend trying. The winery also produces a Garnacha Blanca, a white Garnacha (Grenache) called Auseta, that I found easy to drink and fresh. I decided to take the Auseta 2010 home with me. The third winery that we visited was Celler Burgos Porta, in Poboleda. Salvador Burgos, part-owner, vigneron, and winemaker, gave us a great tour and tasting of the wines which he and his wife and partner, Conxita Porta, produce. They market their delicious wines under the name Massinen, and all are rated over 90 points. Check out our visit below. In this video, Salvador talks about how, while Spain is second in production of wine worldwide behind France, it is one of least wine-consuming of the wine-producing countries in the world. 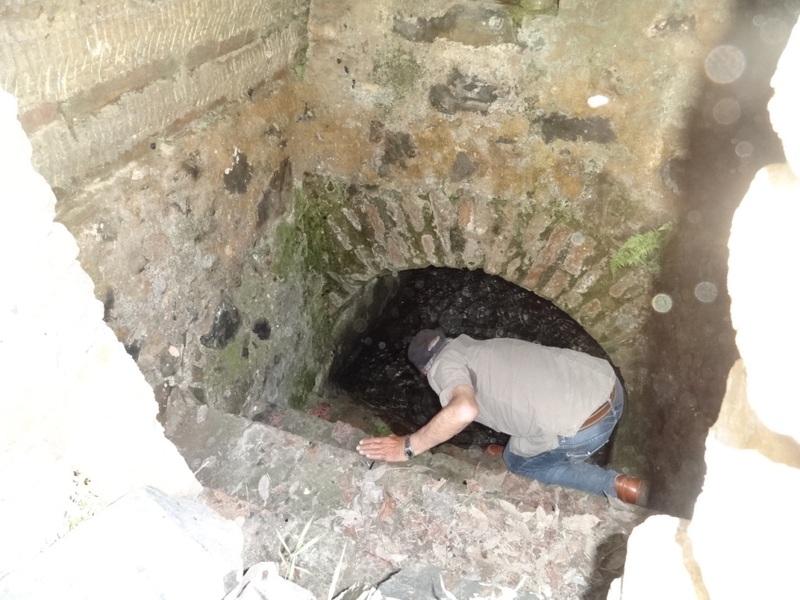 He then moves on to discuss the type of terroir, the slate and quartz soil known as Llicorella, which we all were able to feel in our wine tasting. We also talked about “Poda en Verde,” green pruning, which refers to removing canes before they have hardened, and which is done to better control production. At the end, Salvador speaks of his favorite tool as a winemaker, a tool which allows him to push down the cap in the fermentation tanks to help extract color and aromas from the grapes. This video was created to focus on the wonderfully authentic visit to Celler Burgos Portia of Poboleda, Priorat, Spain near Tarragona. Salvador, the owner and Conxita, his partner and wife have created an authentic experience full of passion and knowledge for their beautiful poppy covered vineyards and winery. They have great wines,under the name Massinen, all over 90+ pts. I ,personally, took home a bottle of the 2006 Mas Sinén Negre, which for me had the freshness of the Llicorella soil and well-rounded beautiful fresh fruit of the Garnacha, Shiraz and Cabernet Sauvignon grapes. Priorat, while not as well-known a region in the world as La Rioja for producing wines, it is a region with enormous potential. Most of the wineries are small family owned wineries that are run by either one or two people who wear many hats, such as the owner/vigneron/winemakers of Celler Burgos-Porta and Cellers Capafons-Osso. The wines they are producing are just now reaching the UK and US markets and are worth an enormous amount of attention. If you haven’t tried a Priorat or Monserrat region wine, please, go out and try these incredible wines. If you are in the Barcelona area and are able to spare a day or two, it is well worth the trip south about an hour and half to visit these amazing vineyards and landscapes. I can’t wait to go back! Cheers! Prost! Salud! To your health! Interested in learning more about the vintages or years to consider when purchasing Priorat wine? Click here for the Priorat Vintage Chart. This entry was posted in Spanish Experiences, Travel, Understanding the Vines, Wine Tasting in Spain, Winery Visits in Spain and tagged april hennig, April Yap, April Yap Hennig, Cabernet Sauvignon, Celler burgos Porta, Family owned, Grenache, Massinen, Poboleda, Priorat, rioja, Sacred Drop, Spanish Experiences, spanish wine, Tarragona, vintage chart, Visit to winery, Wine, Winery. Bookmark the permalink.